I have a very big jack russell not fat, just big! This is him the best picture i have that shows his whole body. Is this a kind of breed of Jack Russell or just idk? 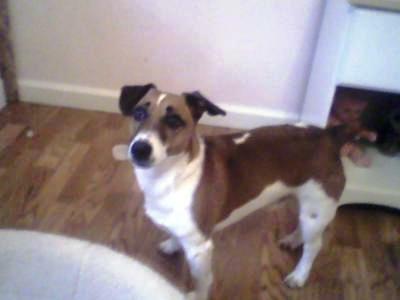 Comments for I have a very big jack russell not fat, just big! Sorry for laughing...but he looks like a large jack russell shortie to me...Why do you ask? How big is he?